Chadwick Boseman came to the role of T’Challa in Black Panther having already brought Jackie Robinson to life in 42 in 2013, so he knows all about bringing role models to the big screen. That being said, there is something very special about bringing such an important comic book character to life, and Boseman is aware of that, according to his interview with CNet. It’s just this tremendous opportunity, not just for me but for all of us really to get out of our boxes. It’s not just black people getting out of their boxes. Everybody is excited about the opportunity to do something that we should have already done. People are excited about seeing new stuff, but I think they’re extra excited about seeing stuff they should have seen already. It pulls from various ideologies. It pulls from the blacks-in-science idea, from a nationalist idea, it pulls from a collective-world idea. There’s something that will influence people in a particular way. It took all of this time to come to fruition in a larger way, but now the world is right, the world is able to receive that. It’s just a special thing. When they call you and say, “So you want to play Black Panther?” if you know what Black Panther is, there’s no way in the world you’re going to say no because there’s a lot of opportunity for magic to happen. 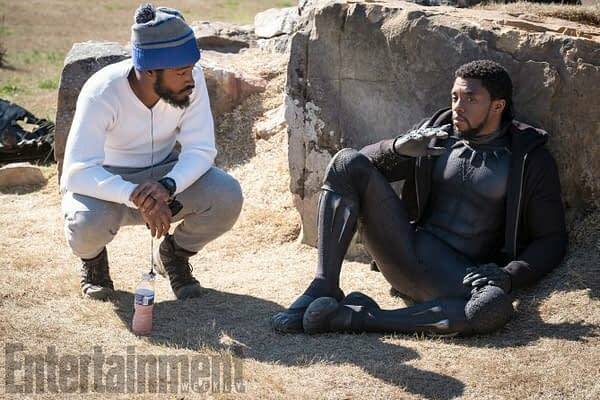 Boseman was asked if he was a fan of Black Panther as a kid, and Boseman revealed that he hadn’t discovered the character until college. Not when I was a kid. Unfortunately for some reason that didn’t come into my sphere. But in college, that’s when I first was put on to Black Panther. Even before I got the role, there was the idea I would love to play that one day. Boseman elaborated on what it was like not see anyone who looks like you represented in superhero comics, and explained how you don’t even know what you’re missing until you see it in front of you. You don’t know what you’re missing if you haven’t experienced it. People of African descent, most of us grew up accepting and loving Spider-Man. I still love Spider-Man. I still love the Incredible Hulk. I still have those characters that were white role models, superheroes, heroes — whatever you want to call it. You basically had no choice but to accept those. You might have created other superheroes in sports or in politics, but there was never that renowned, widely accepted superhero in the same way. But you don’t know if you’ve never experienced it. In the same way, kids now [won’t] say, “There will never be a black president.” There are kids that that’s all they know. Now Boseman is an action figure and a role model for kids of all ages and races, and it’s something that he is very aware of. I love it. You see how much it means. There was one kid [fighting cancer] who used the Black Panther as sort of his inspiration. He saw himself as a Wakandan, he saw himself as having the spirit of Wakanda in his fight. The fact that he chose you, that’s the world he lives in. It does mean a lot. Finally, Boseman was asked about the fact that two white men, Stan Lee and Jack Kirby, created a character like Black Panther in 1966, and how revolutionary it was. Yes, the idea came from Stan Lee, and it came at a time ironically that the totem of the panther was actually part of our revolutionary spirit. It was just something right about that time that these men were on that wavelength. What I think it speaks to is the fact that Stan Lee is just open enough to catching the revolutionary spirit, even as a white man. 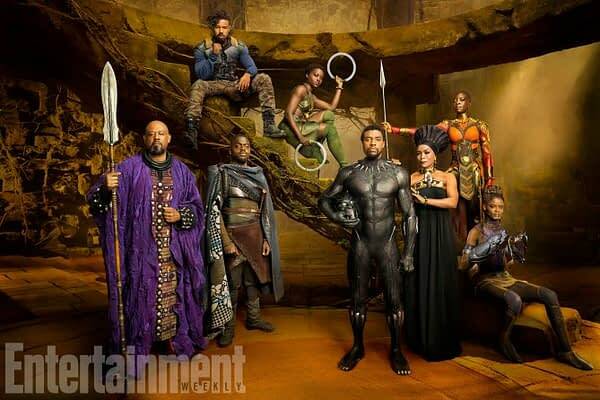 Black Panther, directed Ryan Coogler, stars Chadwick Boseman, Michael B. Jordan, Lupita Nyong’o, Danai Gurira, and Martin Freeman. It will be released on February 16th, 2018.